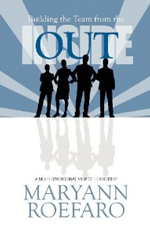 Maryann is a master communicator and a powerful public speaker. She has been the keynote speaker at numerous events, including professional and academic seminars and programs. She is the co-host of Leaders of Light – Becoming a Leader of Light in a Changing World, a weekly internet radio show on www.co-creatornetwork.com with Mary Schechter. Archived shows are accessible via the website or as free podcasts through iTunes. She is always happy to share her knowledge, wisdom and humor. Contact Maryann for information or to schedule her for your next engagement. You’re probably the ONLY person getting in your way! Thoughts are things – the real power is within! Freedom –Replace Fear with Love!